Raining Sideways » Goodbye February! Gale force winds, torrential rain, mud and still more rain chased us through February taunting us, every now and then, with bursts of brilliant sunshine! 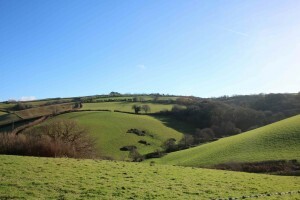 The north wind ripped across the hills driving south from distant Dartmoor. Sometimes I found it almost impossible to stay on my feet as I struggled to fill troughs for hungry sheep. 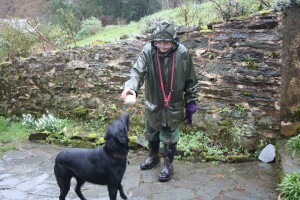 I was so pleased with my old wonder-waterproofs to keep me warm and dry in the deluge! And now suddenly everything has changed. The hills are turning green at last, as grass begins to grow. The valley is awash with flowers. 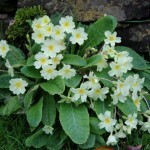 Daffodils, primroses, hellebores, leucojum, celandine all carpet the hillside. 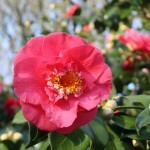 Camellias just go from strength to strength, the best for years. Birds are in full throttle, shouting above the wind, as they race skywards through the swelling branches going about their business. 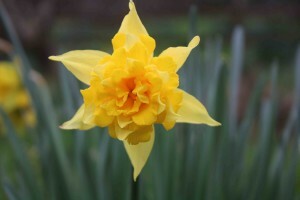 But rain, sunshine, strong winds and an erratic weather forecast keep us on our toes. As we are greeted with this milder weather, memories of last year’s March snow make us all more than a little wary. Will this sun stay with us or will everything be knocked back again once more? 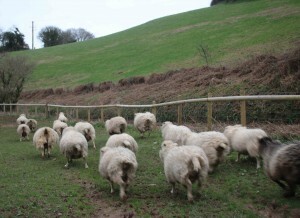 We put our ram in with our pedigree Whiteface ewes later than usual last autumn, intending to lamb at the end of March. But, alas, our neighbour’s big boy climbed a huge fence and a very thick hedge to admire our girls. And, although his stay was very brief, we wonder now what to expect as we wait anxiously for early lambs of uncertain parentage! The wet winter has taken its toll on the donkey’s feet. These desert animals are not cut out for mud. Their feet are porous and old Nutmeg, in particular, has suffered badly. Keeping them all in their big barn has been the only option. But at last, as the ground begins to drain and firm up, they are thrilled to go out to stretch their legs even if this does mean a regular evening pedicure! It was time for the equine dentist visit in February. 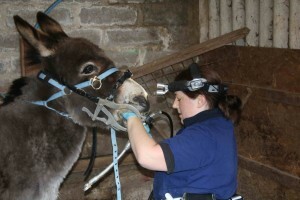 Gemma comes once a year to do a dental check and clean and file down rough teeth where necessary, particularly important with older donkeys. 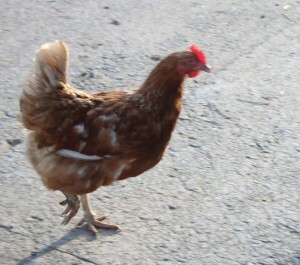 Last summer she arrived as planned only to find me standing in the yard in shock having just found my dear old Luke dead in the barn with a bemused Nutmeg standing beside him. 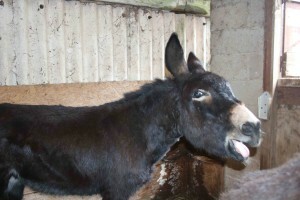 We cancelled all thoughts of dentistry and concentrated on caring for Nutmeg hoping she would not go into shock too, which in donkeys, can cause hyperlipaemia, a fatal condition. The vet’s verdict on cause of Luke’s death was old age. But it was so sudden we were all taken by surprise. He was such a gentle, stoical, funny old boy. 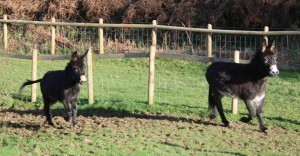 So six months on it was time to check Nutmeg’s teeth and give the new boys a once over too. Christof was good as gold but Tiny Freddie wasn’t so keen. He doesn’t like the farrier much either, or the vet or even wearing a head collar at all: a bit of a handful despite being a sweet gentle chap the rest of the time! But all was well and teeth are good for another year. The equine ‘flu epidemic has brought a visit from the vet recently too. We don’t see many other equines here but the virus is air born so we must be vigilant and make sure they all have vaccine boosters for protection. So it’s up to the yard again now to bring in the Ladies in Waiting for the night and give them tea. The donkeys will have their feet cleaned and eat their bowl of Mollychaff and I daresay I will have to search for a wayward chicken or two after our recent visit from a fox. We found two piles of feathers recently: food for early cubs maybe or just a hungry loner. Sad though it was, we must share the valley.